He found them for $20 USD (for all eight) at a garage sale and was kind enough give them to me. At the time I didn’t even have a Sega CD. So they sat on a shelf and patiently waited. I’ve recently sold Bram Stoker’s Dracula and Power Factory because they are horrible games and I want to shake the desire to buy anything and everything Sega CD. 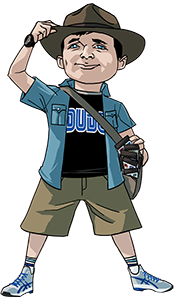 My goal is to have a good Sega CD collection and not a fat one. When I started collecting Sega Master System and Sega Genesis games they were very cheap so I was enjoying grabbing any title that I could, but those days are long gone. 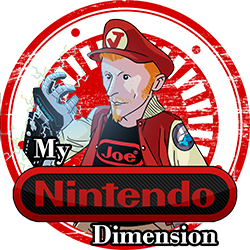 Of the eight games Nintendo Joe gave me there are four good games that I really do want to have in my collection (Cliffhanger, Demolition Man, Eternal Champions and The Terminator). A huge thanks to Nintendo Joe for giving my new(ish) Sega CD collection a great running start! 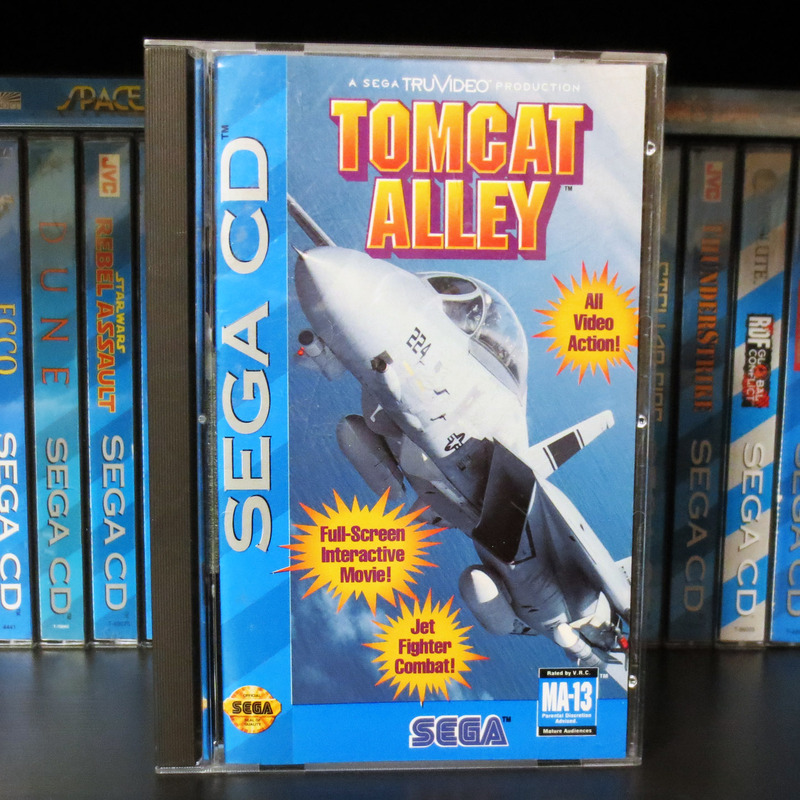 When I got around to really exploring the Sega CD (it was something I never touched back in the day) I kept encountering the system’s famous (or infamous) Full Motion Video (FMV) games. Despite being terrible games they seem to have a cult following. They’re actually becoming popular because of how bad they are. So when people are willing to say that Night Trap is a good game it’s hard to trust game reviews for the Sega CD. So relying on my own ‘street smarts’ and extensive Sega expertise I ventured out on my own and picked up few affordable games that I manage to find out in the wild. Sure, they weren’t terribly expensive but now I know why. 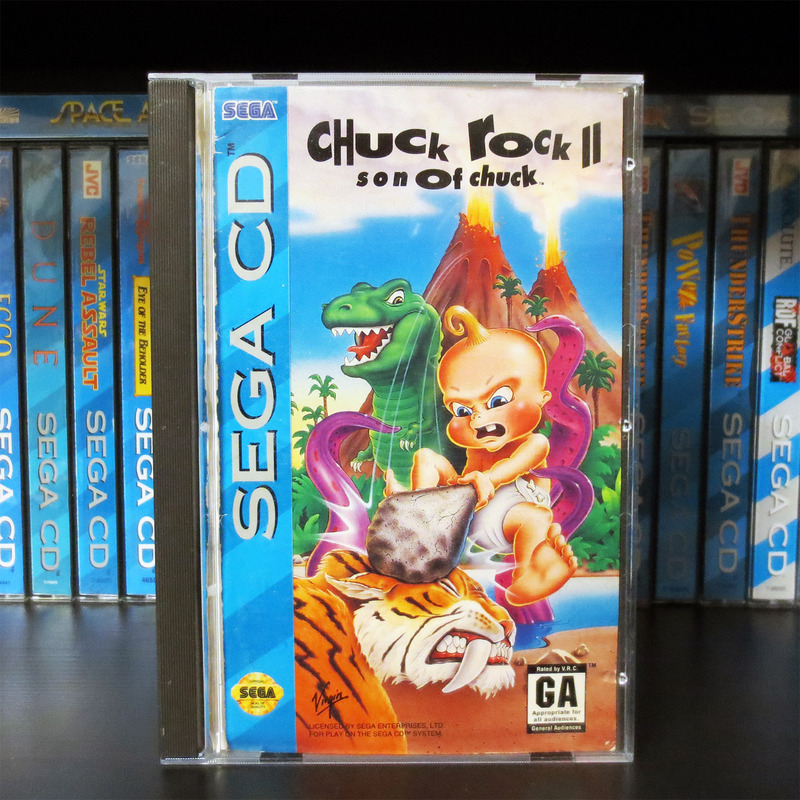 Chuck Rock II Son of Chuck is just OK but far from great. It’s one saving grace is that it’s a traditional platformer; which cost me $30 CAD (~23 USD). Heimdall looks like it could have been a good isometric RPG game and I’ve read reviews from people who like the game; but personally I find it’s too cumbersome to be enjoyable. 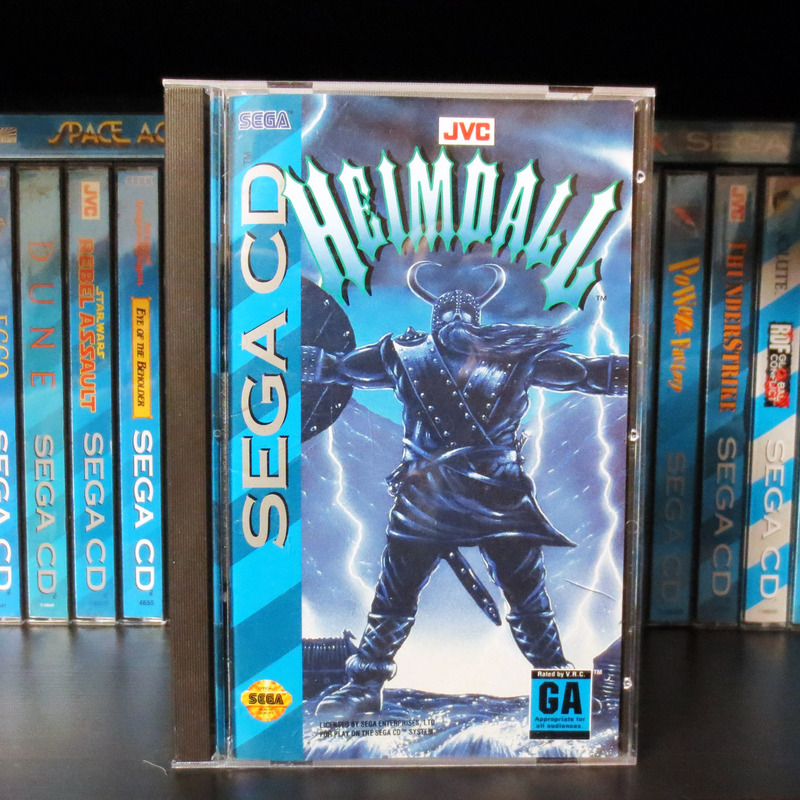 I don’t recall what Heimdall cost but I’ll guess it was about $20-$30 CAD. 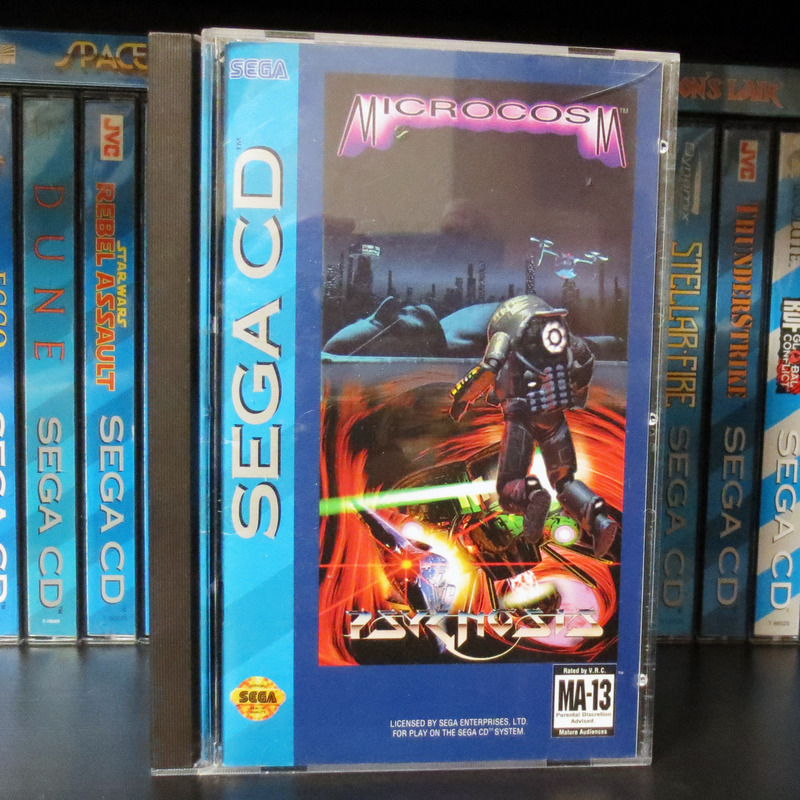 Microcosm feels like a game that is trying really hard to take advantage of what CD technology was offering but it fell short by a lot. Fortunately it only cost me $15 CAD. 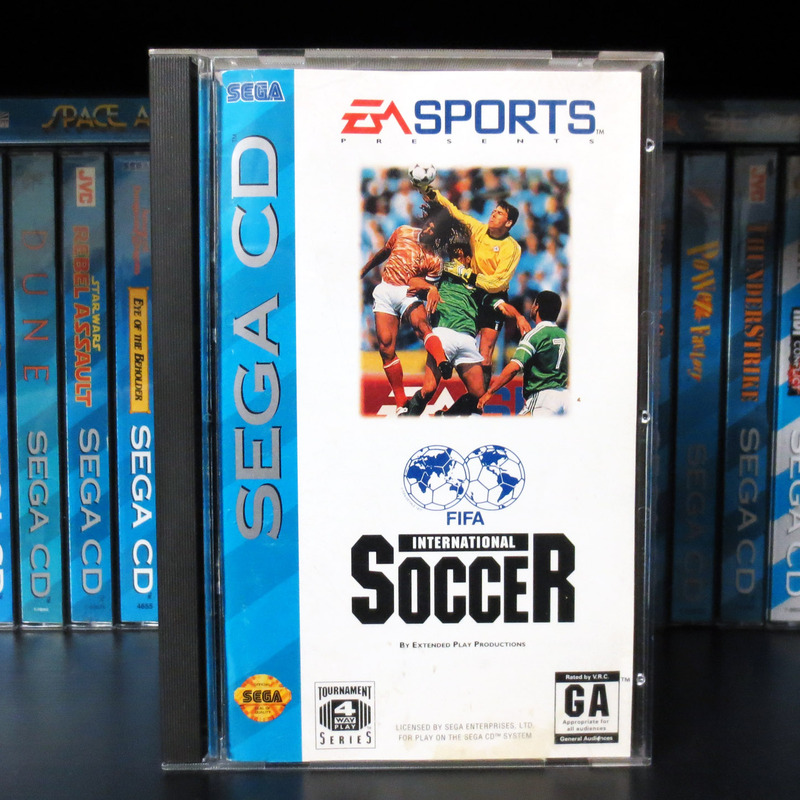 I don’t even remember buying Soccer but I know it was cheap and I’ve already re-sold it. As I get better at finding fun games for the Sega CD I might purge some or all of these titles. Something that I did do right was scoop up this Final Fight CD for $35 CAD (~27 USD) from a favorite video game store called Game Centre. Like most complete copies the box is pretty banged up but it’s still whole and it’s a great beat’ em up. 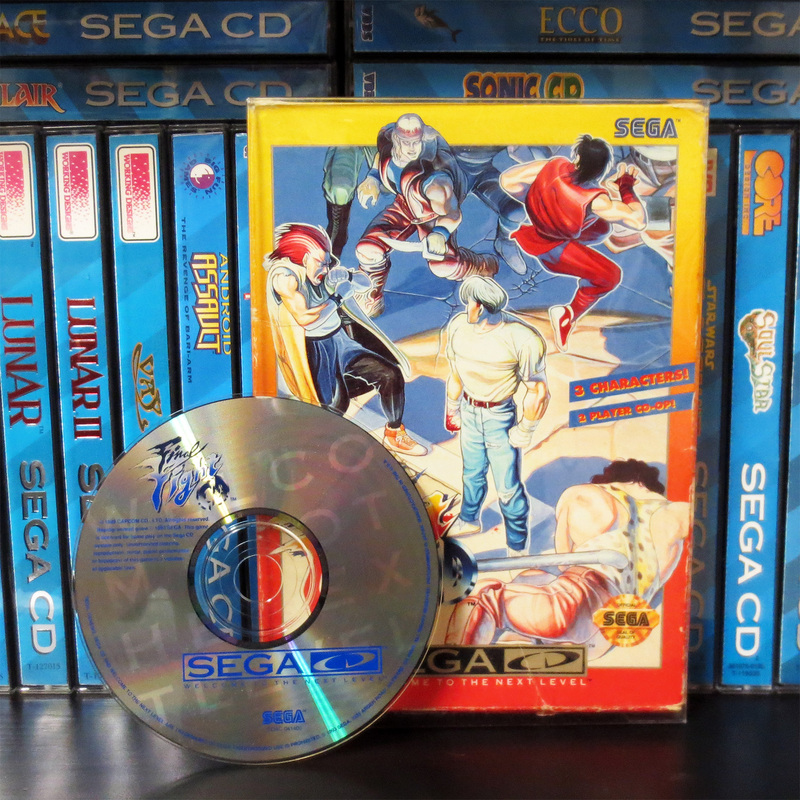 The next purchase is when I really started getting serious about my Sega CD collection. I found a post on the Sega-16.com market forums listing four games for sale. 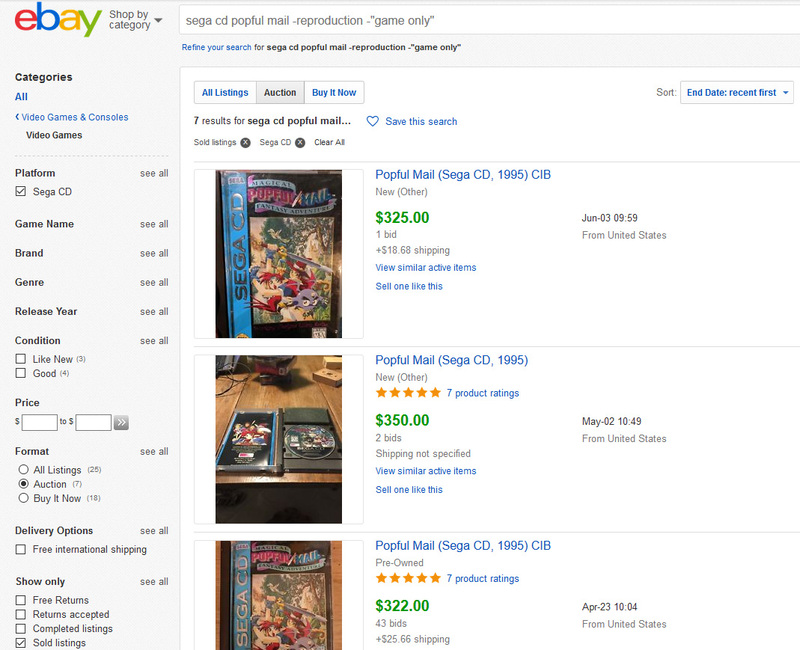 They were being sold as a bundle and included Lunar, Lunar II, VAY and Popful Mail. Asking $500 USD plus shipping. 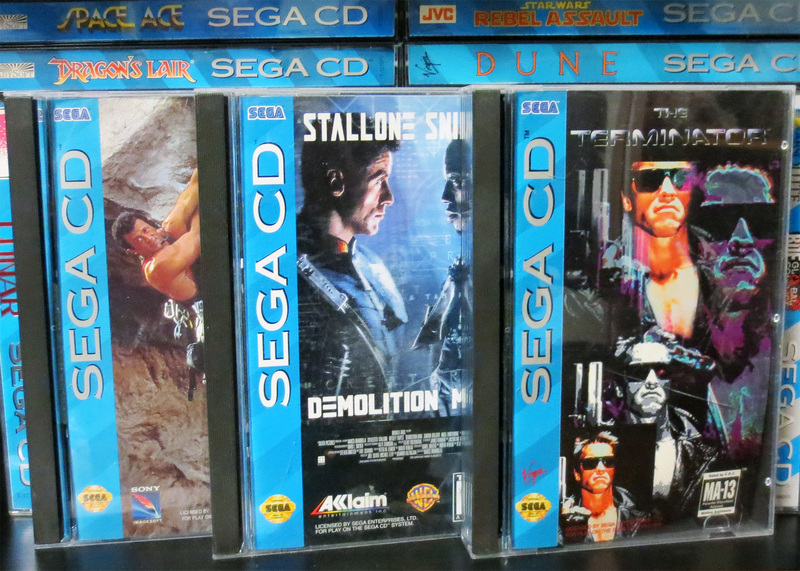 Even being new(ish) to the Sega CD I knew these were some of the best games to have for the system. But the cost was too great for me. At the same time I felt it was possible that they might sell. 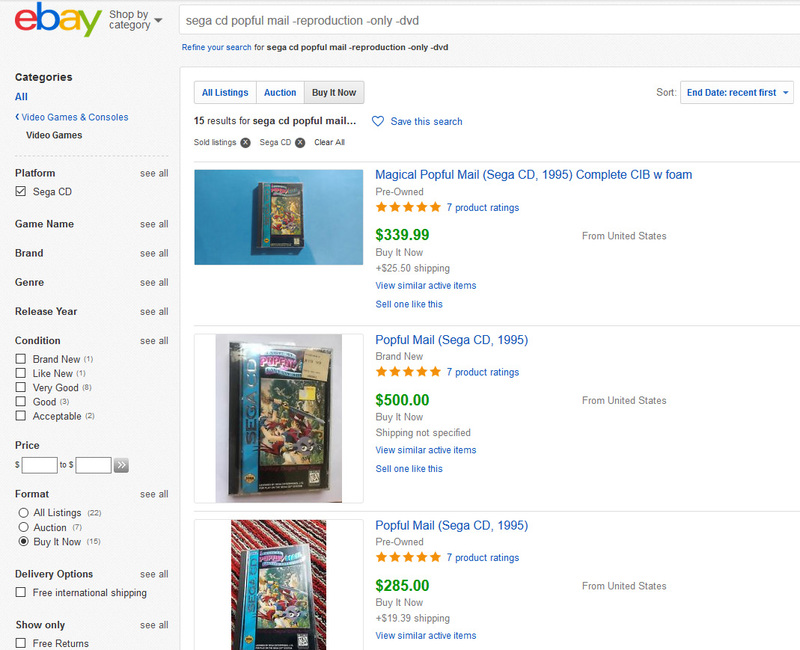 Several recently sold listing on Ebay.com show that complete Popful Mail’s have sold as ‘Buy It Now’ (BIN) prices from ~$285-$500 USD. And from completed auctions ranging from ~$260-$360 USD. Even PriceCharting.com lists a complete Popful Mail valued at $320 USD. While Lunar lists for ~$100 USD and Lunar II at ~$175 USD. And VAY being the most affordable at ~$90 USD. Add up the lowest prices and it comes to $625 USD. Ouch! So this $500 USD asking price felt reasonable. I ended up sending a friendly private message to the seller offering to buy them all for $300 USD plus shipping. I basically said if they couldn’t sell the games in the amount of time they wanted they could reach out to me if they were willing. About two weeks later the seller agreed to let me have them. I had to drop a total of $347.80 USD (~$450 CAD) with shipping. It still feels like a lot of money to throw at video games but I know the seller gave me a super deal and I really do appreciate it. 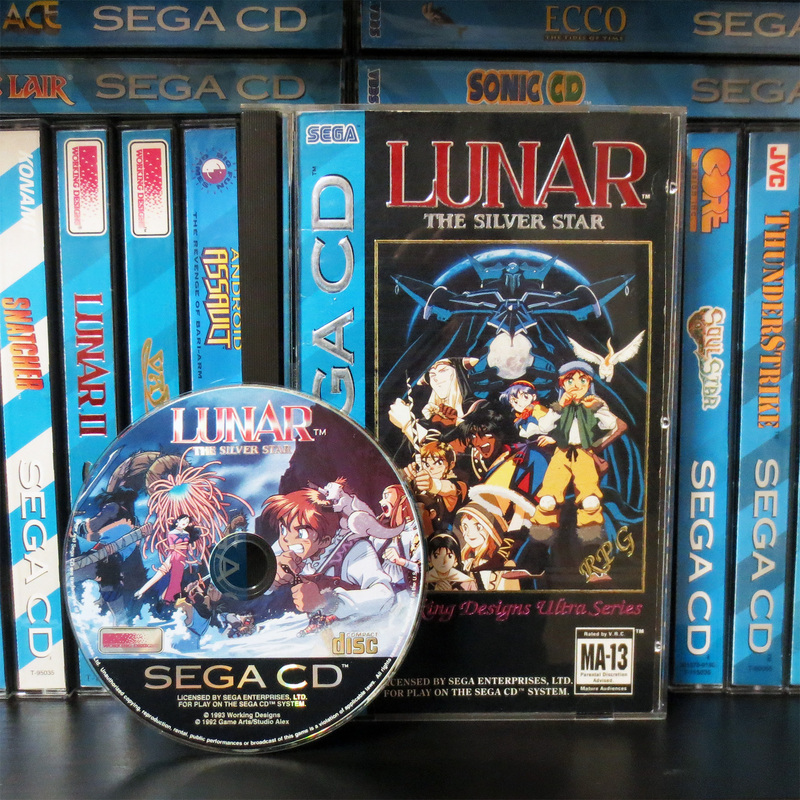 I’m a long way through Lunar the Silver Star and it really is a good JRPG. I wasn’t sure if the the genre could still capture me like it did in the 80’s and 90’s but it really can. 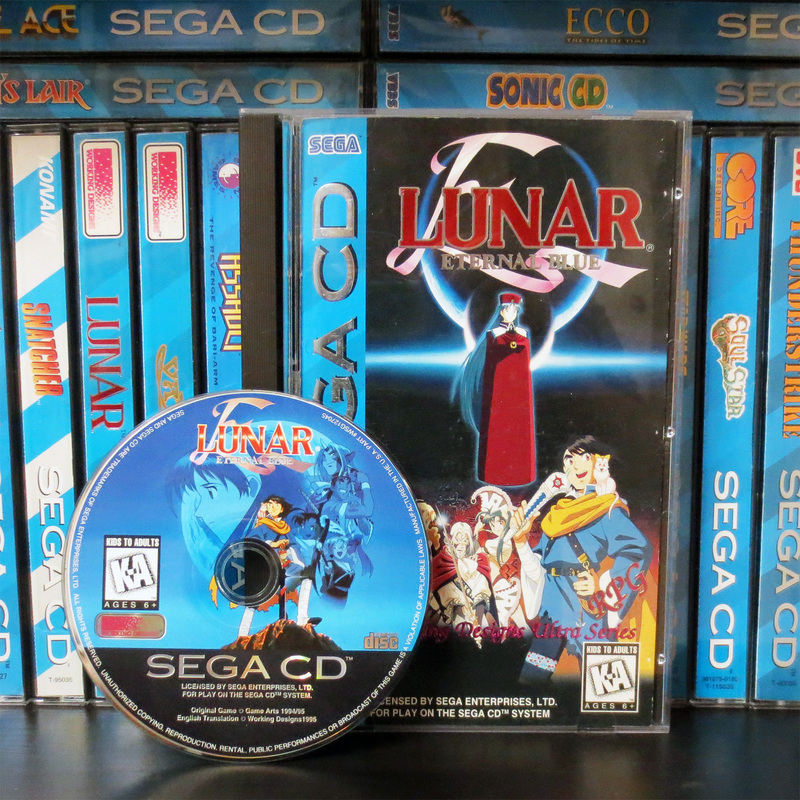 Finally I understand why Lunar is so popular. 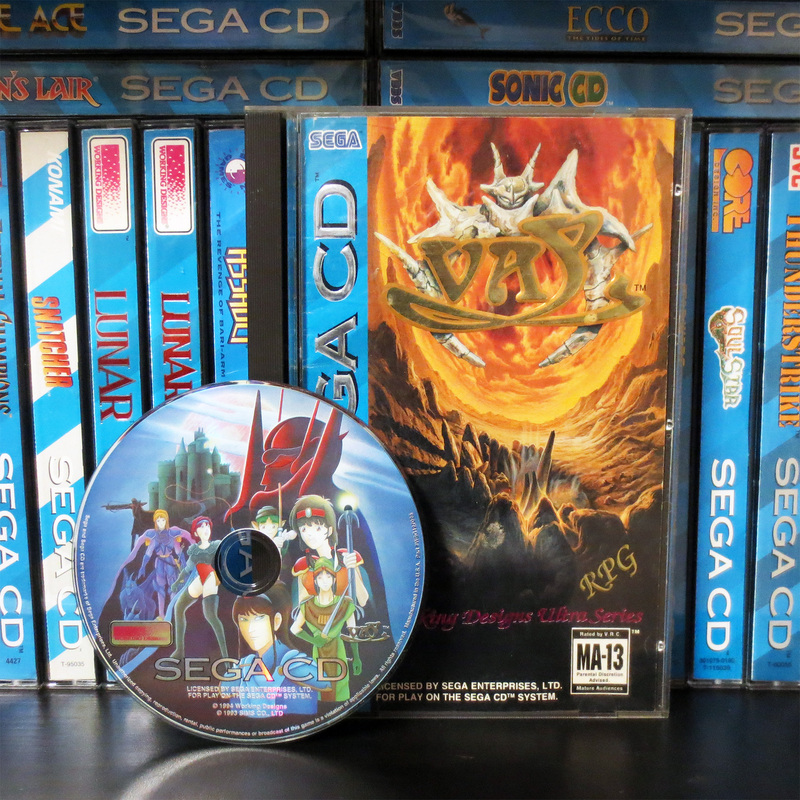 VAY is also a JRPG and it’s commonly said to be not as good a Lunar but still a worth while game. I’ve only just sampled it and haven’t played enough to make the judgement myself. 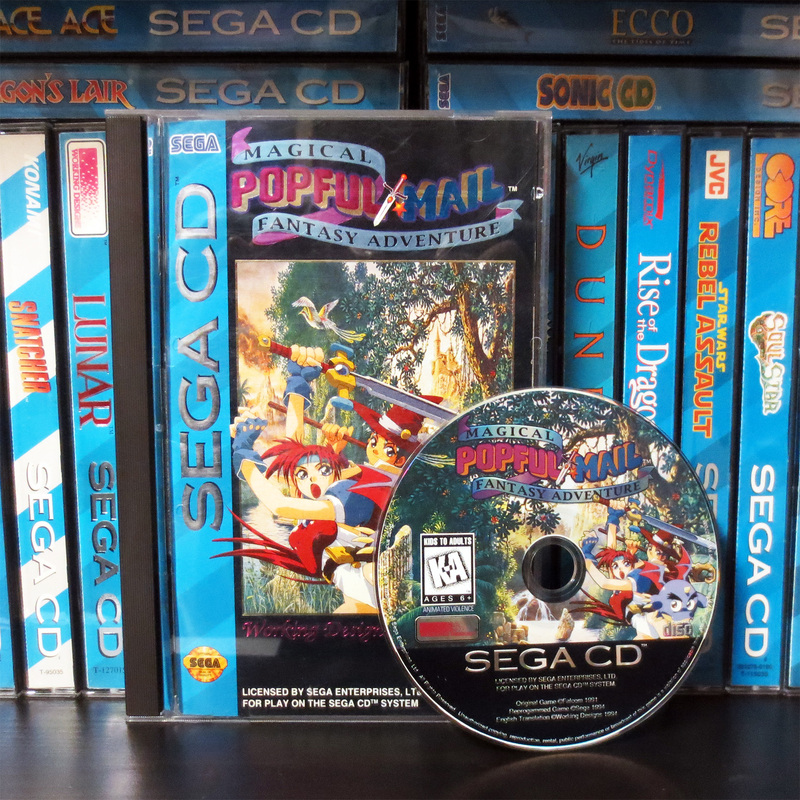 As for Popful Mail, it really does deserve the hype it gets. 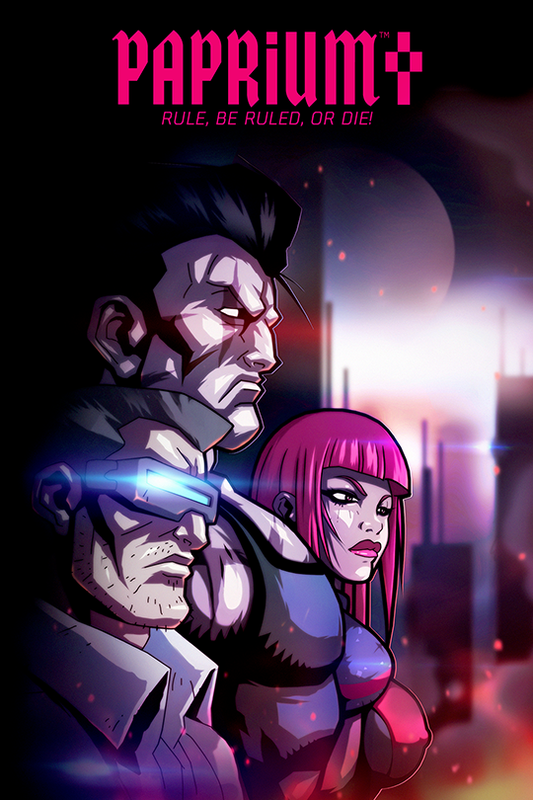 It’s a great blend of action platforming with RPG elements in the mix. I had a really hard time clearing the first stage but once I finally managed to take down that Wood Golem I found my groove. This game is a real highlight for the collection. Both Android Assault and Silpheed I bought from the neo-geo.com forums for a combined $140 USD (~$180 CAD). This is pretty much the list value for these games on PriceCharting.com (which is a fair price) and the seller didn’t charge me for shipping which was a generous bonus. 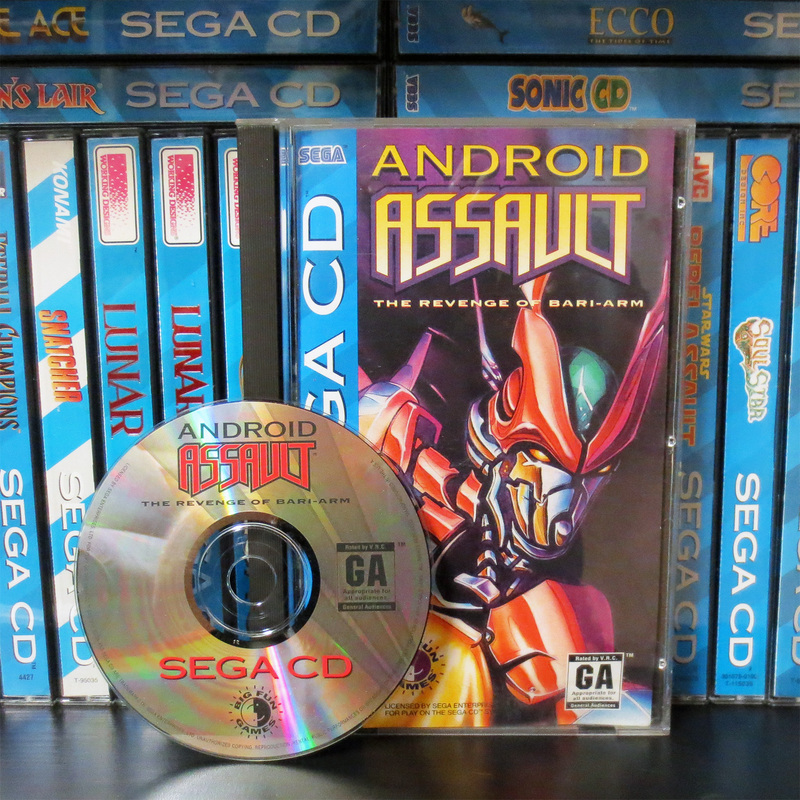 Android Assault is outstanding. It’s everything you ever wanted from a shooter. 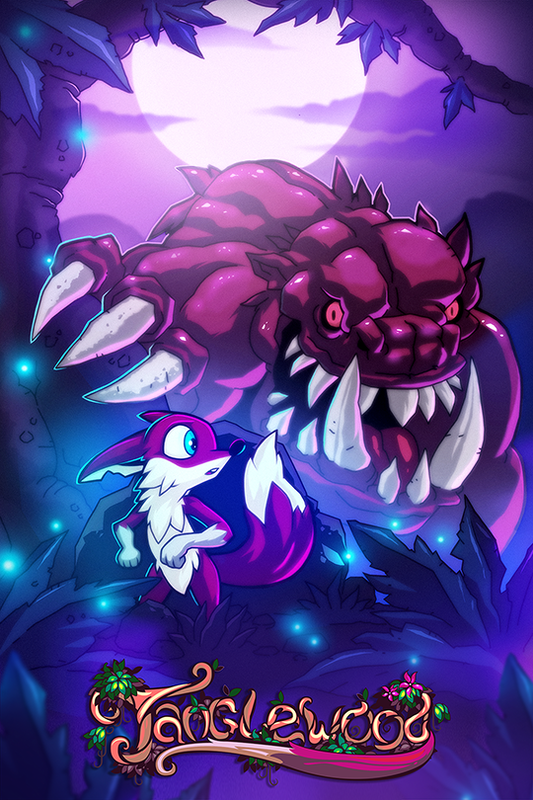 Beautiful graphics and animations, lots of weapons and power up and massive bosses. Silpheed is something special. It feels very similar to Star Fox and does everything right that Microcosm did terribly wrong. Silpheed is very fast and smooth and the plain polygon graphics are balanced out with excellent action and great use of music and real audio for exciting combat radio chatter and story narration. Now my Sega CD collection is really starting to feel pretty good. I’ve managed to get some notable games. At this point it has became much easier for me to sit back play some games and go back into passive game hunting mode. 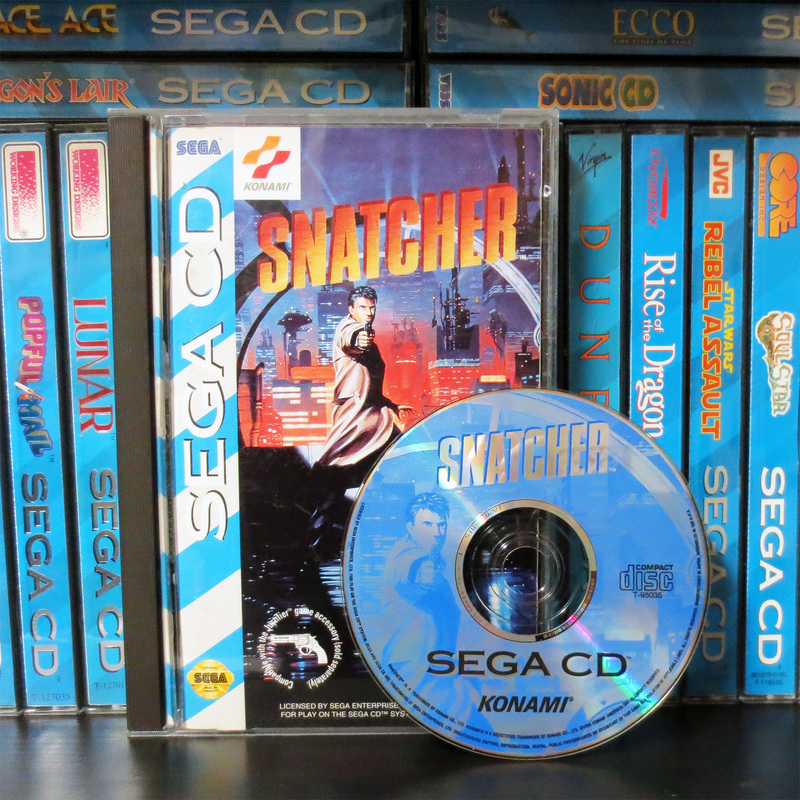 But by far the most exciting edition to my Sega CD collection is Snatcher. This game typically has a really high price tag. Coming in at ~$575 USD (~$745 CAD) on PriceCharting.com and between $400-$675 USD in recent ebay sold listing. 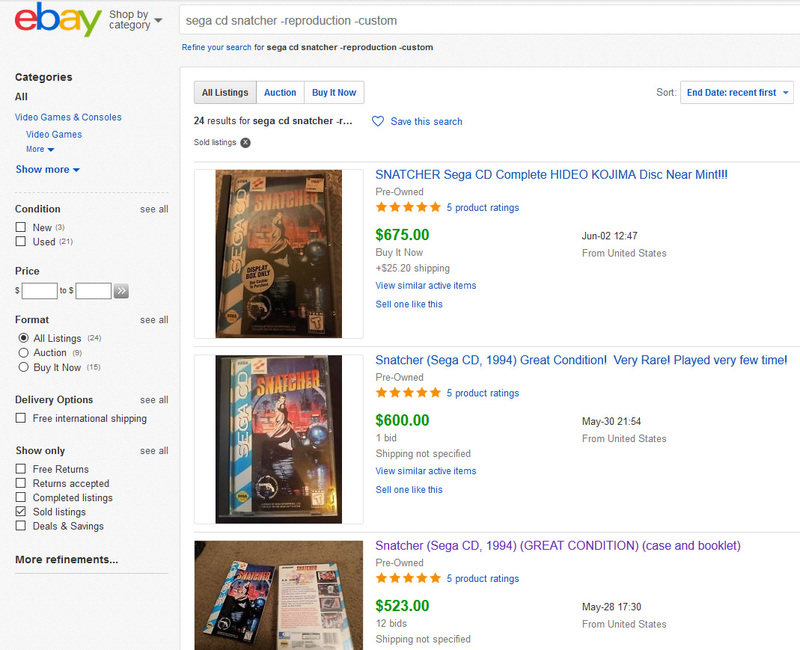 I can’t pay those prices so when I noticed Snatcher at local store called 7 Star Games I asked if they would be willing to work out a trade. They were willing but they wanted $700 CAD in trade value. I went into my collection and took some time to consider what I’d be willing to part with. The first thing I looked at was my Nintendo Game Boy Advance collection. I had been buying complete and used GBA games for years when the system was current and I had amassed about 60 games. When assessing their value I discovered that Ninja Five-0 had become a very expensive game. Turns out it’s hard to find and it’s a good game that people want to play. PriceCharting valued Ninja Five-0 at ~$300 USD and 7 Star Games was willing to give me $400 CAD in store credit for it. This was pretty exciting because all of a sudden I was just $300 CAD away from hitting the target with just one game. However, it did take nine more games to get my Snatcher and I am really happy with the trade. Click here to see the ten GBA games I traded. What can I say about Snatcher? It’s a graphical text adventure that is not for everyone because of the slow pace. But if you’re comfortable with the genre I’ll tell you that it’s a very cool game. I’m guessing the replay value will be very low but I haven’t yet completed the game myself. But so far it’s very enjoyable and just so very cool. 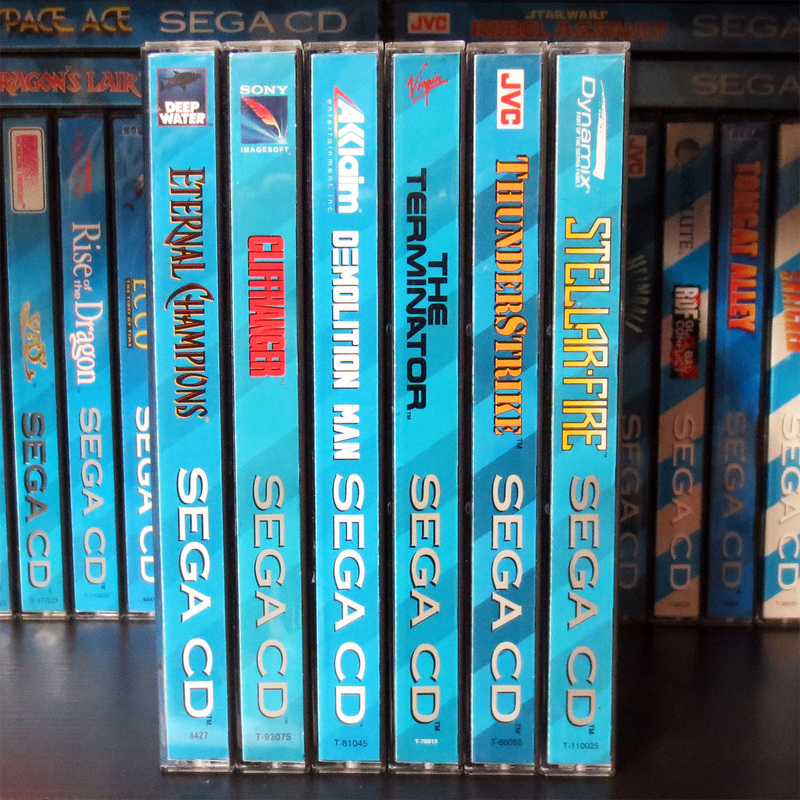 I do have a few other Sega CD games in the collection, some good and some really bad, but this post really highlights the best of what I’ve got. 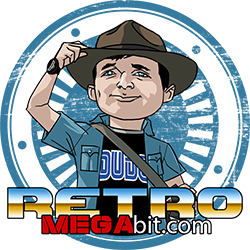 And because I’ve never really paid attention for a lot of years I am surprised to discover that the Sega CD (Mega CD) is actually a worth while add-on for the Sega Genesis and Mega Drive. I’d love to hear thoughts from anyone who played it back in the day when it was new. Or from anyone just discovering it now. So many games I’d love to have but just to expensive. I ended up with a Sega CD back when it was still pretty new. My mom would sometimes do random things and one day out of nowhere she saw a listing in the paper (this was well before things like Craigslist) of a guy selling a Sega CD and a pile of games for $300 and asked if I wanted it. Well of course I did and her asking was quite a surprise since that was a lot of money for a working class family to just randomly spend. Anyways we went and picked up the lightly used system and games and I actually had a lot of fun with that system over the years. I never had any of the big time RPG which I regret not buying back then but I had a lot of fun with stuff like Third World War, Silpheed and Thunderstrike. 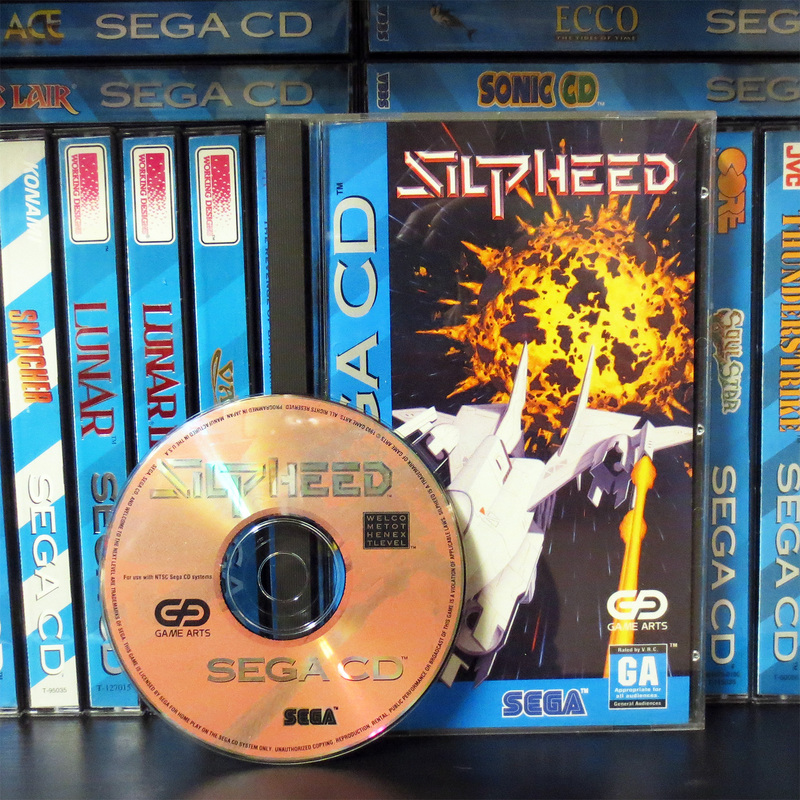 The presentation of Silpheed blew me away back then with the the radio chatter, space battles and CD quality music tracks. Stage 5 is still one of my favorite game tracks ever. Nice one! Super mom for sure. I can only imagine how awesome that day must have felt. I did wonder if games like Thunderstrike that don’t look very timeless today might have been fun when they were new. Third World War looks like it still might be a good RTS if it’s not too clunky. Silpheed is one I’ve played and yeah, it really does hold up very well. I think thunderstrike holds up pretty well and is still fun to play. Third World War…well, yeah, very clunky. I don’t think many people would enjoy that game, it wasn’t great even then but then again I was a strange kid and I was really into geopolitical stuff even as a kid so a game like Third World War blew me away. I mean the ability to play as so many nations and conquer the world, develop your army and just the presentation. I never had a PC growing up other then an Amiga and a C64 so I missed out on the in depth strategy games PC gamers got and this was well before grand strategy games such as Hearts of Iron and games from Paradox so even though I think most would turn their noses up to that game it blew me away back then. Man, So awesome! That’s allot of amazing games in your collection. 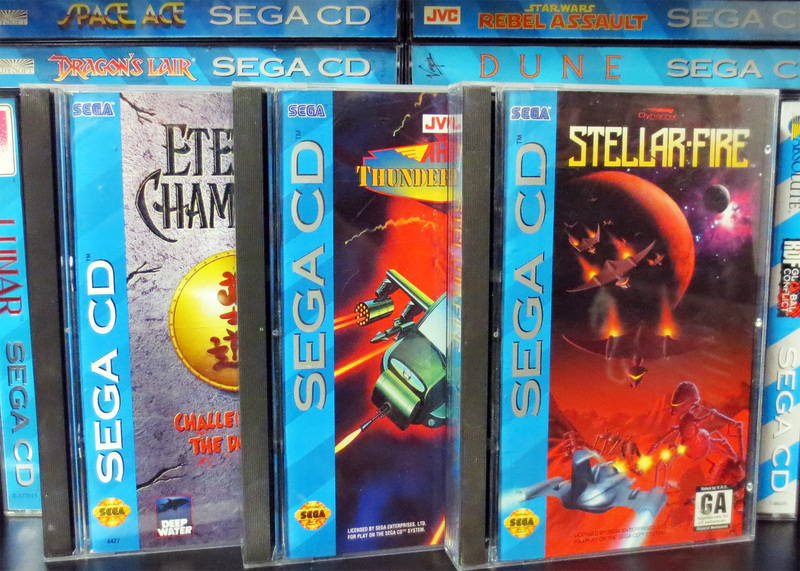 Sega CD really has some of nicest boxes I find.